Horror cubed? 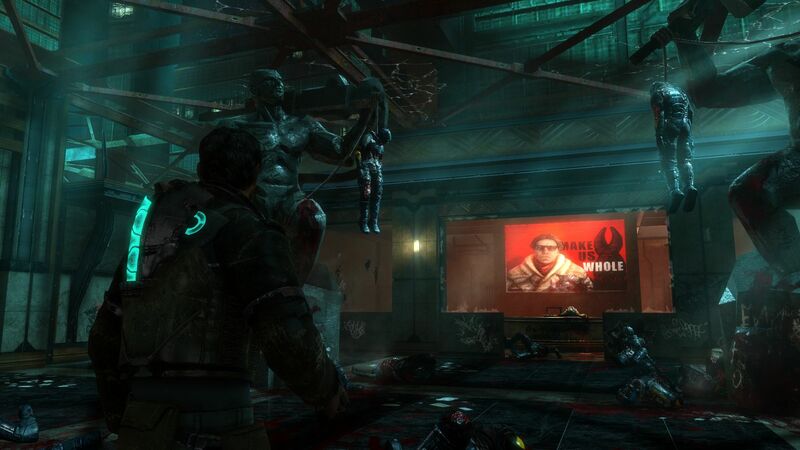 Almost two years after the last installment, EA releases the third game of the Dead Space series to horror fans. 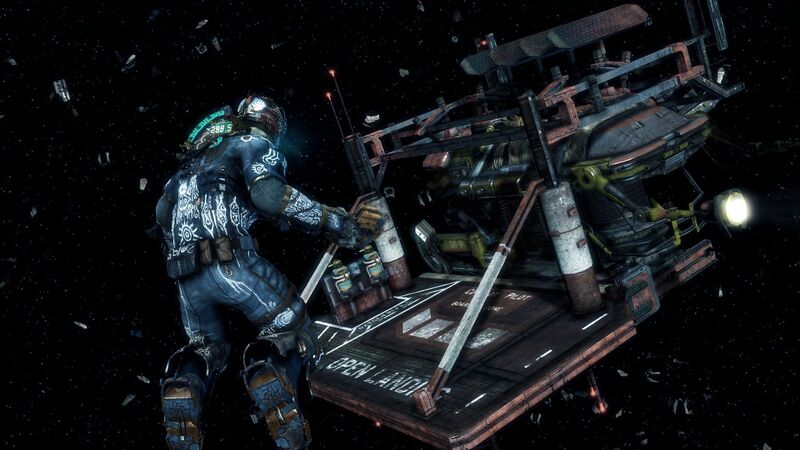 The nightmarish third-person title will attract players with a well thought out co-op mode and a diverse crafting system. 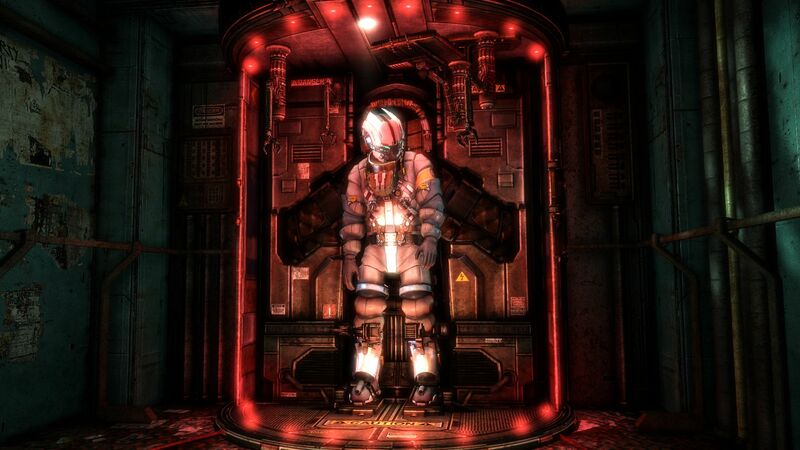 We tested the single-player mode for several hours and have determined the hardware requirements. 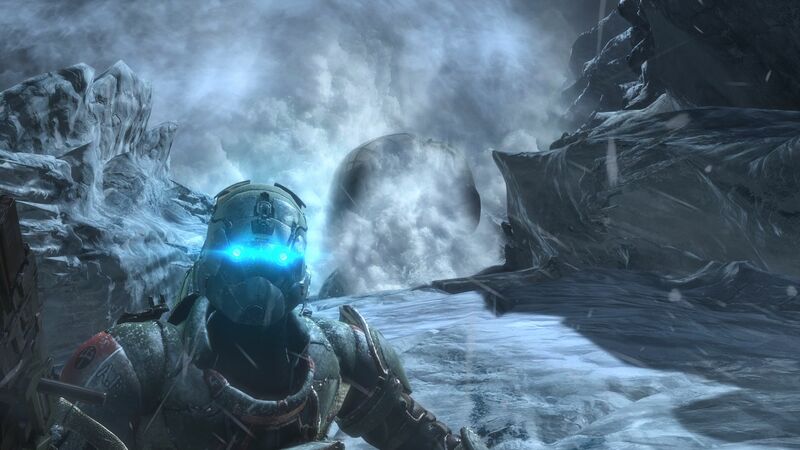 One of the biggest strengths of Dead Space 3, as was for the first two games, is its thrilling and dark atmosphere. 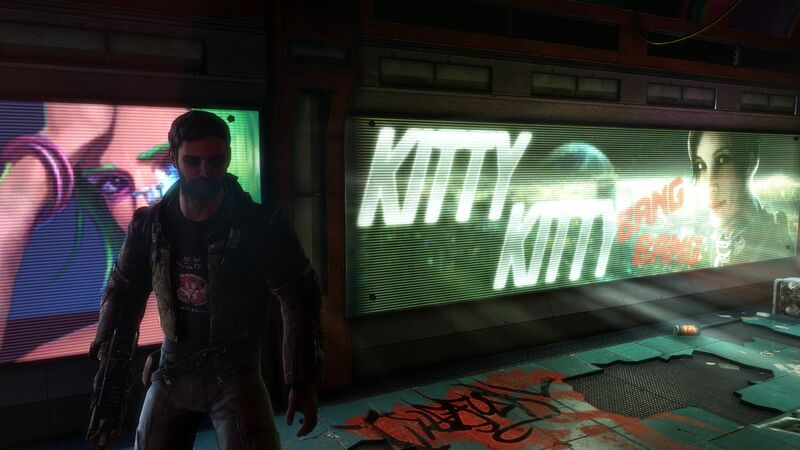 A quick look at the level design clearly shows that the U.S. developers from Visceral Games really know what they're doing. 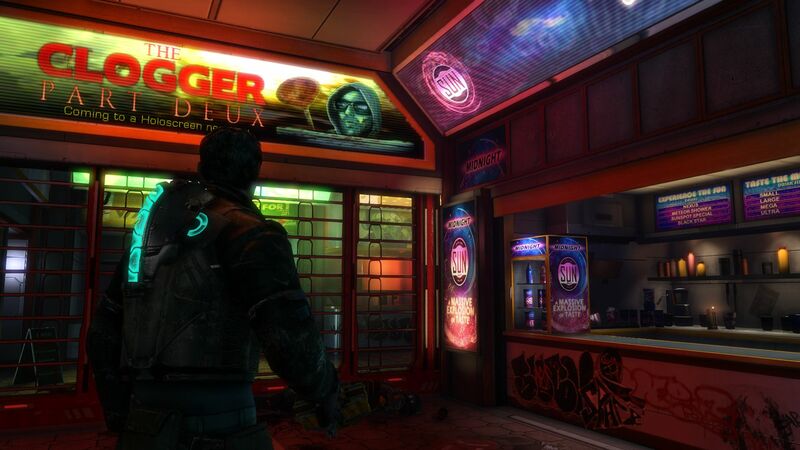 The dismal sci-fi world, built around the mysterious Markers and the necromorph mutants, looks a lot like a mixture of Judge Dredd, Riddick, Blade Runner and Deus Ex. 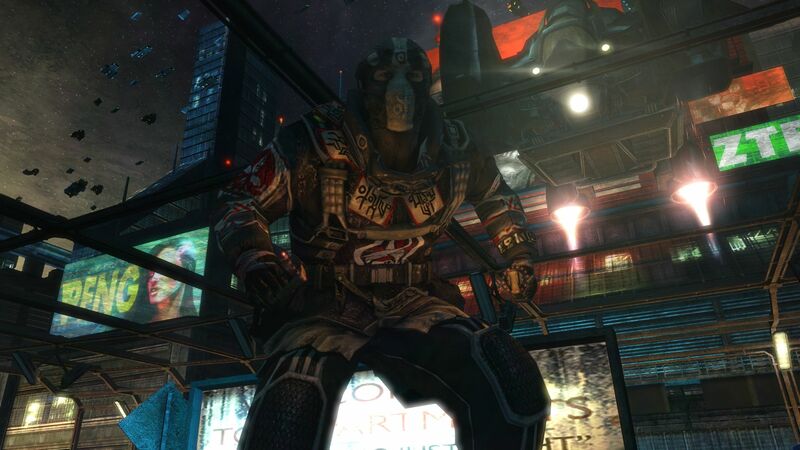 The developers have successfully created a dystopia and players are quickly immersed into the game universe. 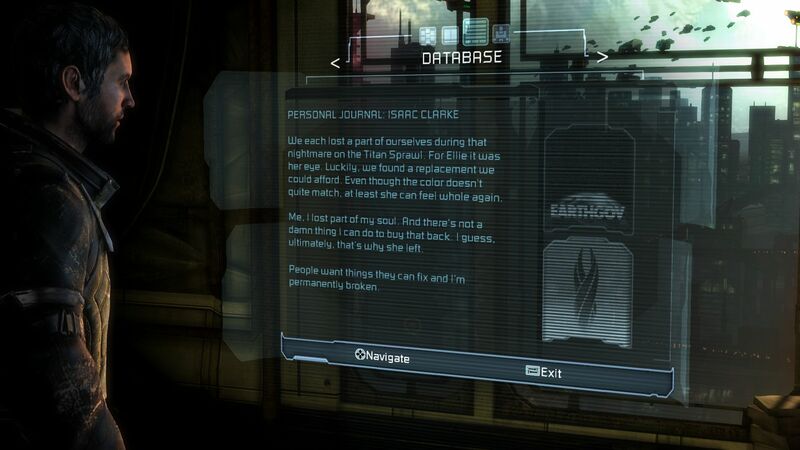 The first chapter in the "Lunar Colony" is especially full of lovely details. We fight our way through a shopping street that invites us to stay and explore around every corner. The overall positive image also comes from the good technical implementation. 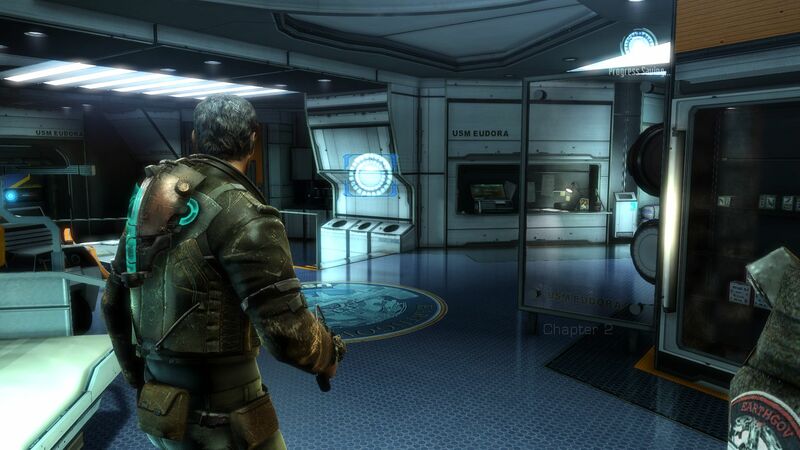 Although the graphics are not necessarily outstanding, the developers have a done a good job. We were particularly impressed by the great lighting and the excellent shadow play. 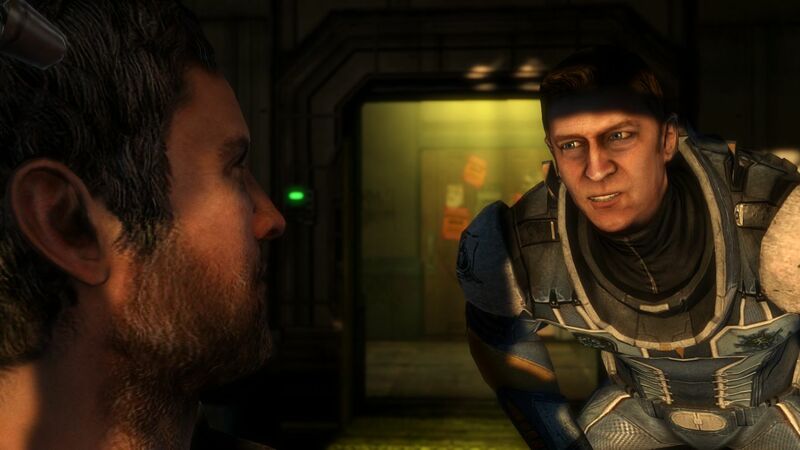 The numerous effects manage to hide the smaller texture weaknesses very well. 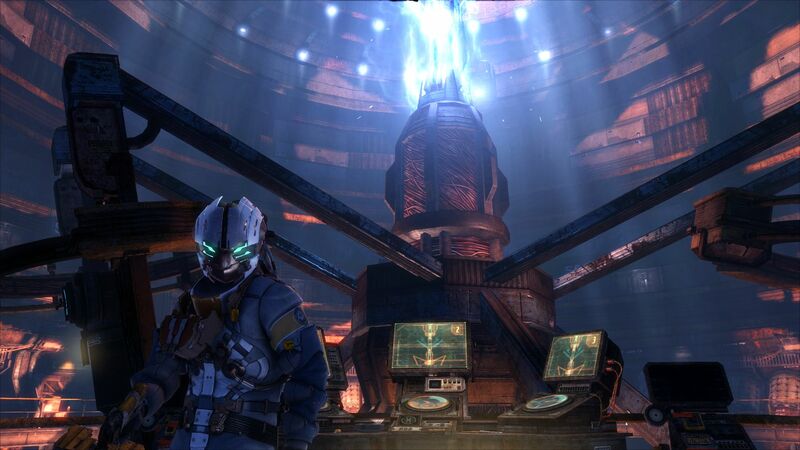 The scenery and the enemies remind us of Lost Planet. Sometimes we are in the snow. The prologue is very well made. ...and are almost crushed by debris. 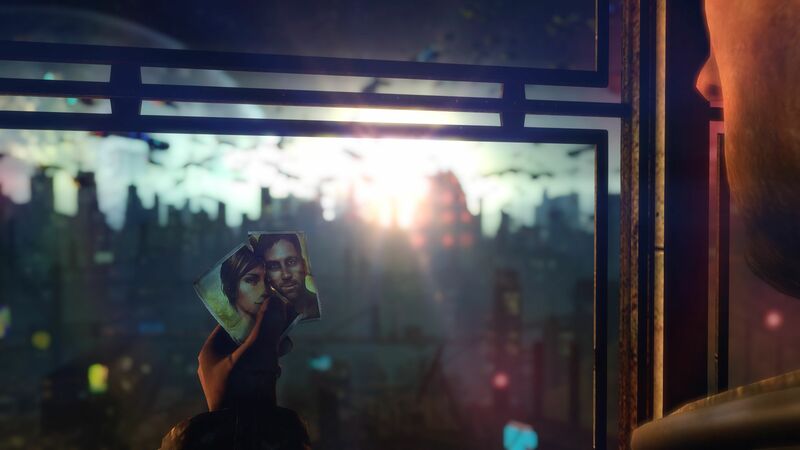 In terms of sound, Visceral Games has done a generally solid job. 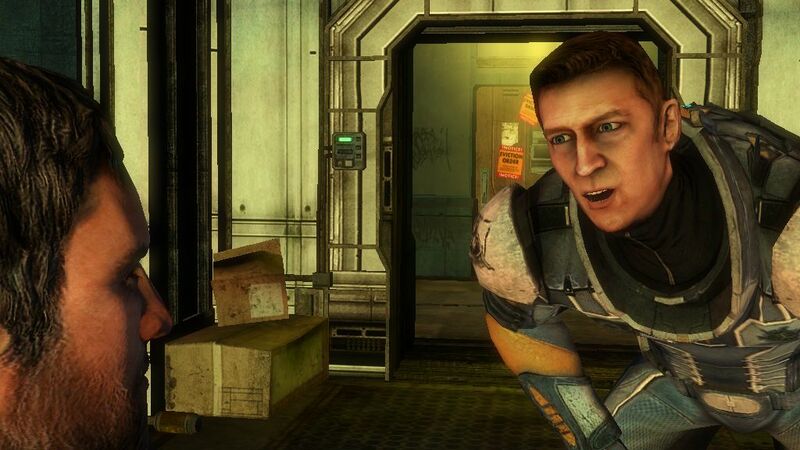 When you hear a strange noise at the end of a pitch black corridor or a monster lurking round the nearby maintenance shafts, you would want to run as fast as you can and leave the whole horror behind you. There is nothing to complain about the weapon sounds and the music either. 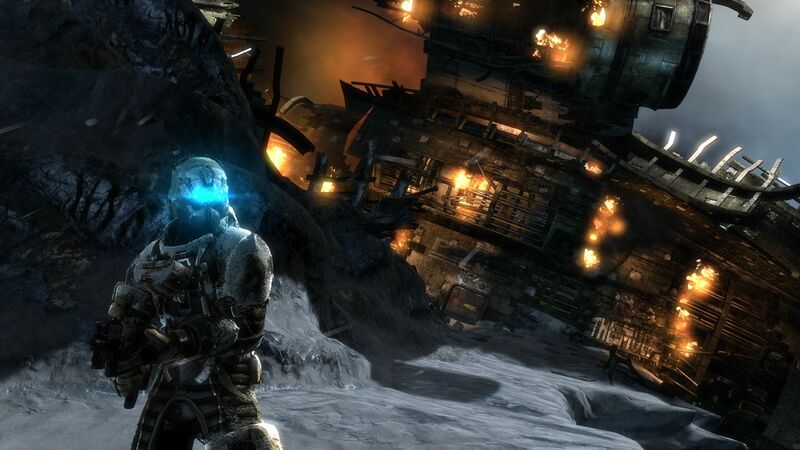 In terms of gameplay, Dead Space 3 is a double-edged sword. On the positive side are the scattered puzzles. Although they are very much alike and generally of low difficulty, the brain-teasers are a nice break from the horror routine. 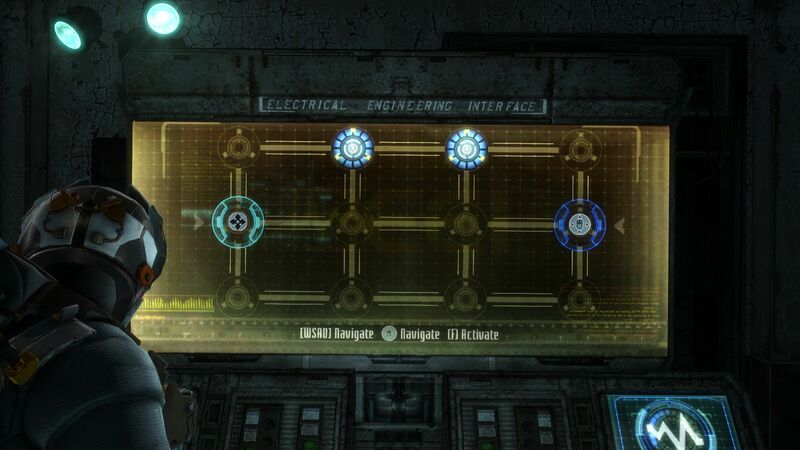 The player must activate energy nodes, repair machinery, move objects and avoid dangerous rotors, all with the help of telekinesis and stasis abilities. These skills also come in handy during brutal fights. After all, opponents are noticeably less harmful when slowed down. 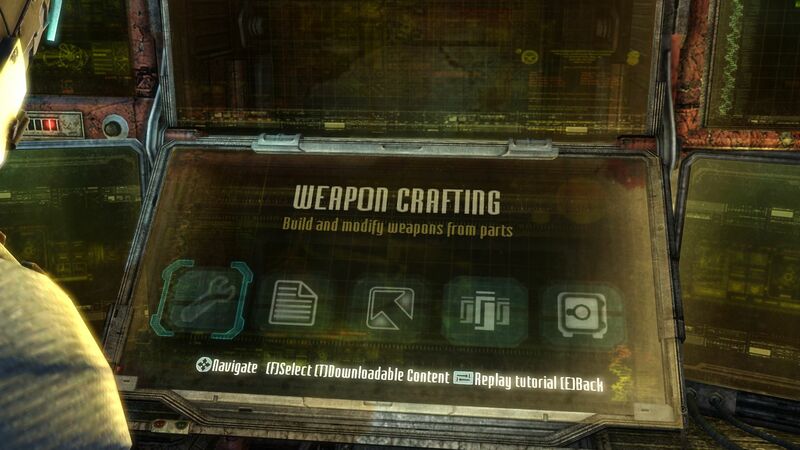 Another advantage is the crafting system that is surprisingly extensive for a third-person title. 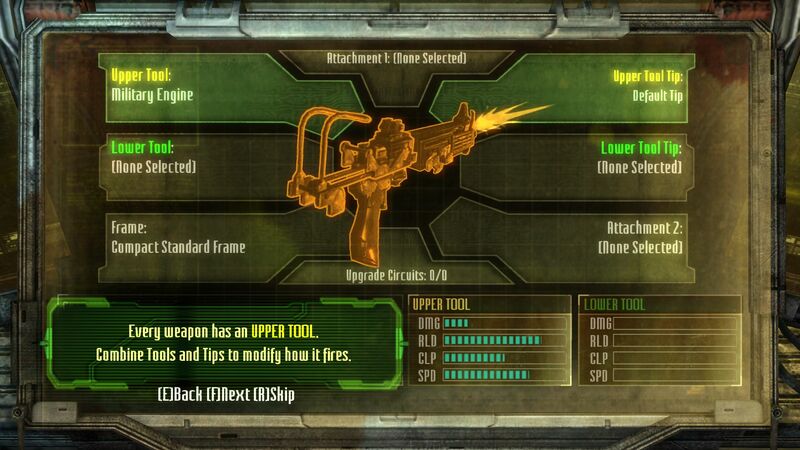 The developers have divided the weapons into different modules that the player can combine anyway he wants. 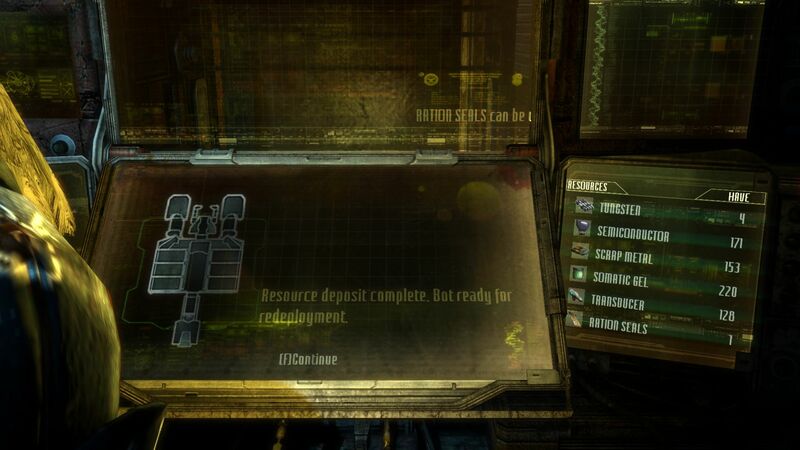 The resources that the player collects can also be used for the construction of other items, such as ammunition. 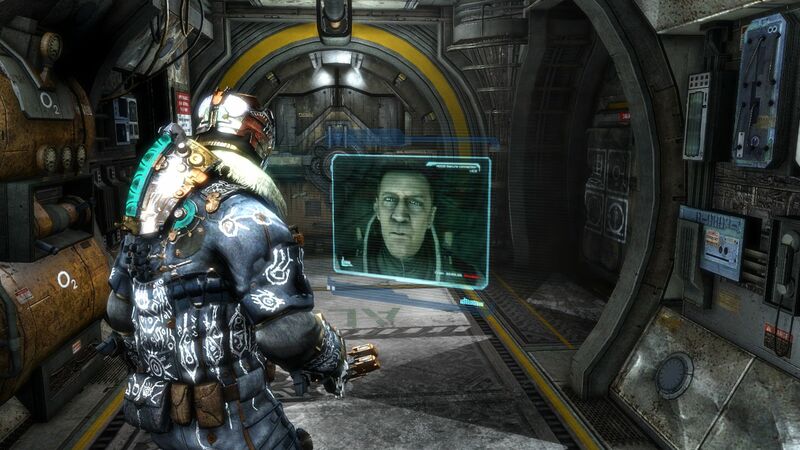 Dead Space 3 even has a small character system. 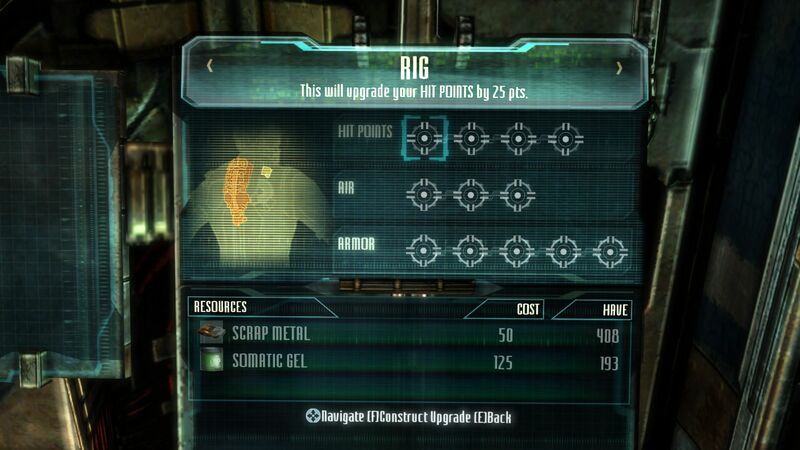 The so-called "RIG" suit can be upgraded in several stages. You want a larger air supply for the space levels? Then just put more resources in the corresponding category! ...where you will also fight conventional enemies. ...that create a great atmosphere. For most puzzles we need the telekinesis ability. 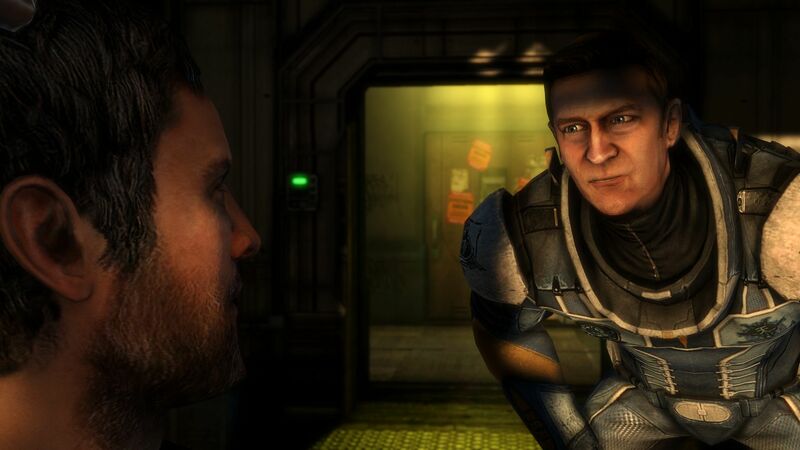 In order to increase the suspense, the developers have incorporated a lot of scripts. Sometimes these are so spectacular that the player is left open-mouthed in front of the monitor and the satisfactory "WOW" and "OH" follow as well. In addition we have the boss encounters, regular Quick Time events and the zero gravity passages. The latter offer lots of freedom of movement and are a nice contrast to the rather linear indoor levels. The interesting story is motivation enough to continue playing. We were not quite as satisfied with the fights. While the "alien" battles offer a whiff of tactics thanks to the "dismemberment" mechanic (it pays off to shoot foes in the limbs), the "normal" enemy fights feel somewhat boring. 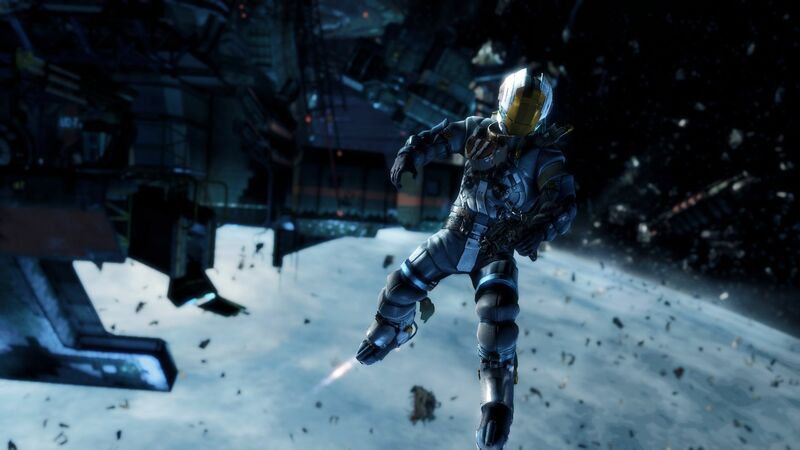 First reason: compared to other action games, the main character's movement is relatively slow and clumsy. Second reason: more can be desired from the AI. 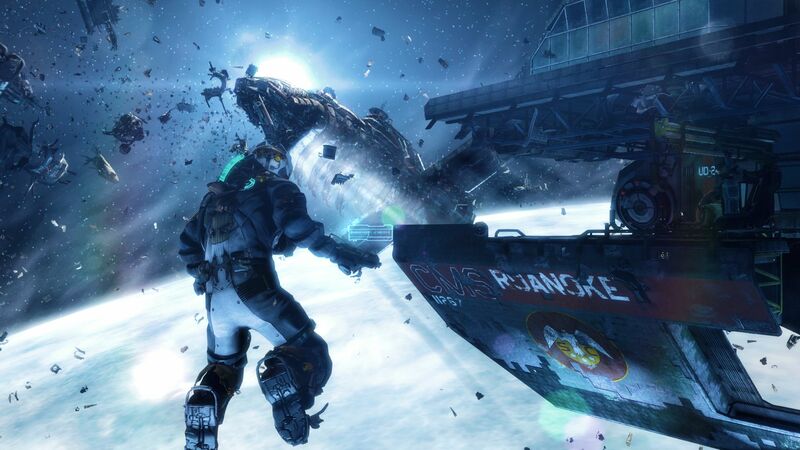 Overall, Dead Space 3 tends to have more action and less horror for our taste. The unique atmosphere, characterized by isolation, sometimes goes down the drain. True horror fans should look at the development of the series with a bit of skepticism. 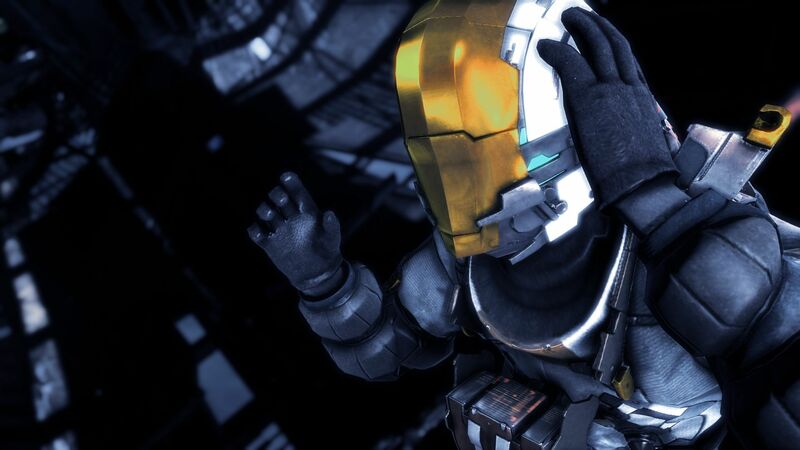 Dead Space 3 is definitely not for children. Despite the retrospect, newcomers will sometimes have trouble following the story. We are happy to roam spaceships and space stations. The inventory is filled up quickly. News messages give the universe depth. 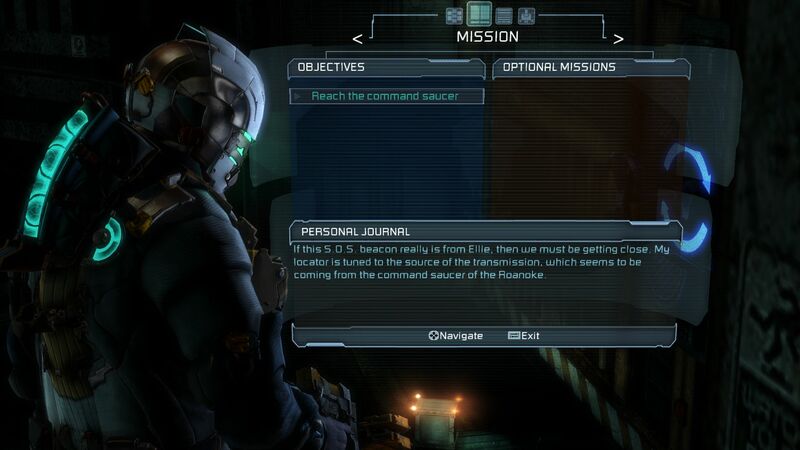 In addition to the classic mission descriptions, we also have the optional target marker. 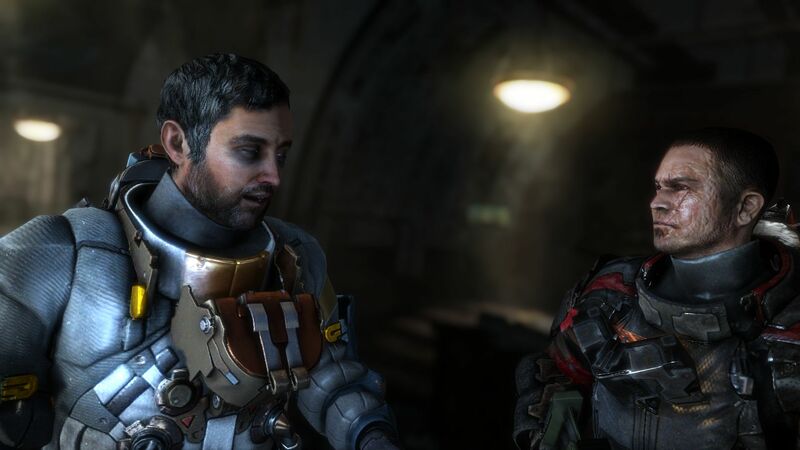 We think it's a shame that EA has not focused on the strengths, which made the series great in the first place (even the first game offered more than enough fights), but has rather gone for the modern "Hollywood formula". A bit more peace and suspense have worked well for the third installment in the series. For us, the first signs of exhaustion came after a couple of hours. We must also criticize the controls. 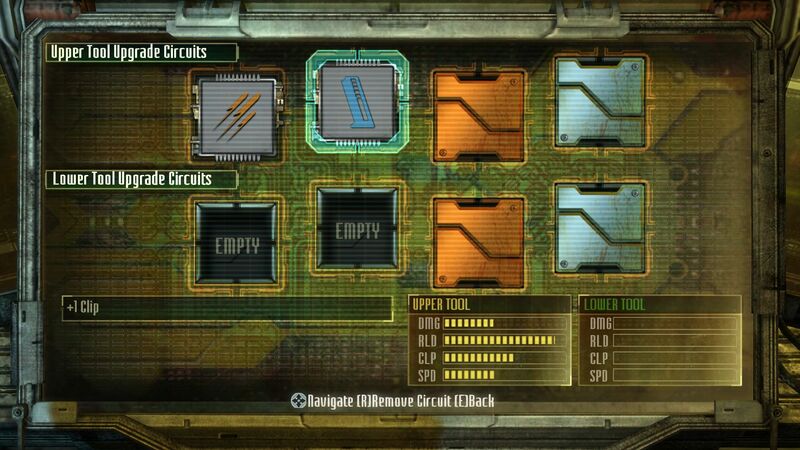 The options menu is literally overflowing with buttons. There seems to be a different key for every mini-action. After all, this is not a complex flight simulator, but a rather simple action game. Convenient controls were achieved with a bit of practicality. Older action games worked fine with less buttons (Doom for example). Another problem: some menus have a limited or no mouse support at all. 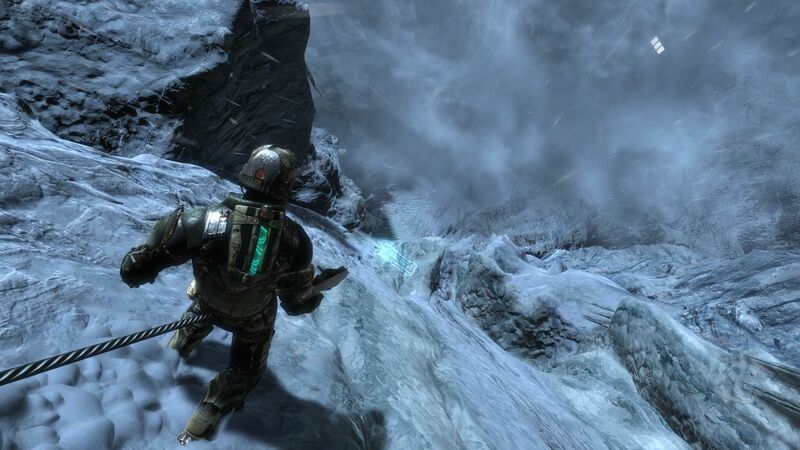 Yet, Dead Space 3 runs smoother than its predecessor. Even the first part had slow and clumsy controls. The cool scripted scenes add some adrenaline. The characters are well built, but look rather artificial. Occasionally they lack facial expressions. If needed, we can easily change our suit. Even the basic model is visually appealing. The difficulty of the puzzles is rather limited. Our benchmark sequence lasts approximately 60 seconds. The real-time rendered introduction to the first chapter gives a good overview of the expected frame rate (minimum/maximum/average). A video card should be capable of at least 35-40 fps, because the fights require quick actions and reflexes. A lower frame rate would cause annoying stuttering. We used the proven Fraps tool for the benchmark. As you can see from the video below, we start the recording right as the advertising and propaganda monitor appears. 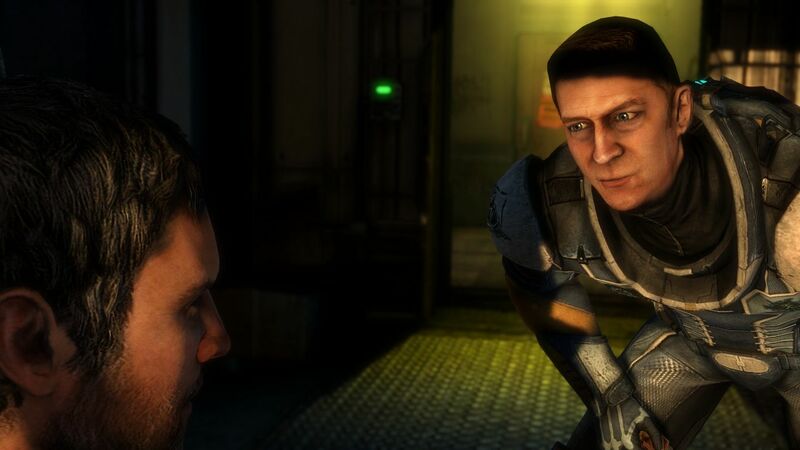 The benchmark is stopped when Isaac falls on the floor of his apartment. The graphics menu is intended for both beginners and advanced users. Those who do not want to deal with the details should use the four practical preset options and ignore the "custom render settings" submenu. In addition to the graphics quality, the user can change the resolution, the display mode and the brightness. The Vertical Synchronization should be turned off only for benchmarking purposes. 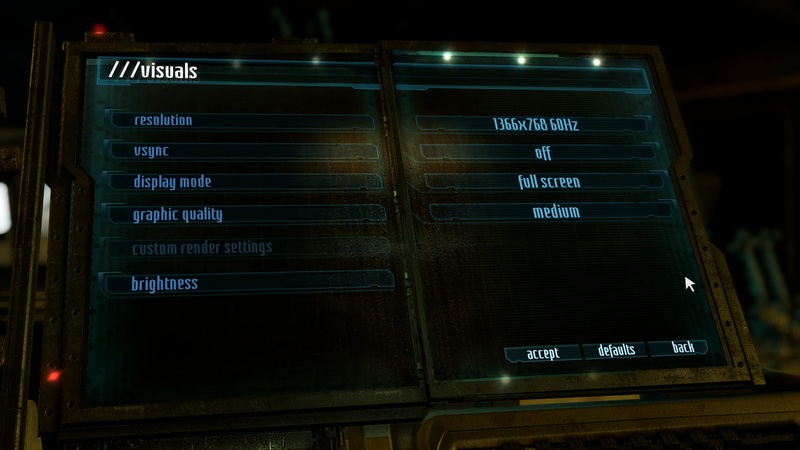 Great: all graphics settings can be changed directly in the game and no restart is necessary. The short loading times are also noteworthy. With an SSD, the selected levels load after only a few seconds. During the test we did not notice any bugs, crashes or performance problems. The technology seems well engineered. 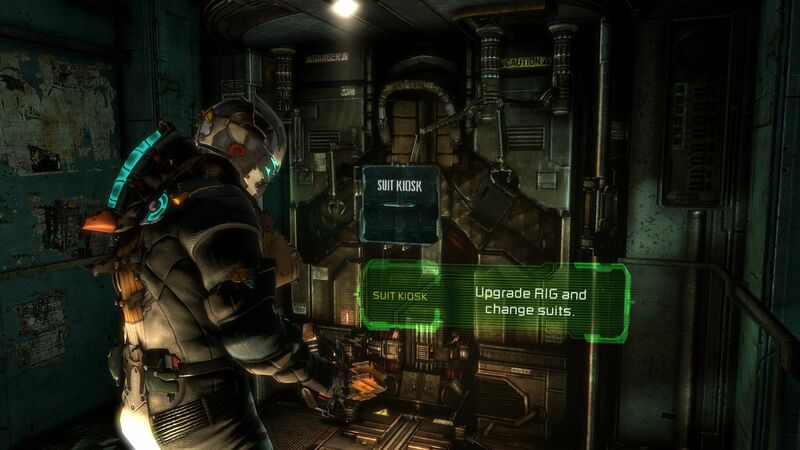 The action game offers an extensive crafting system. 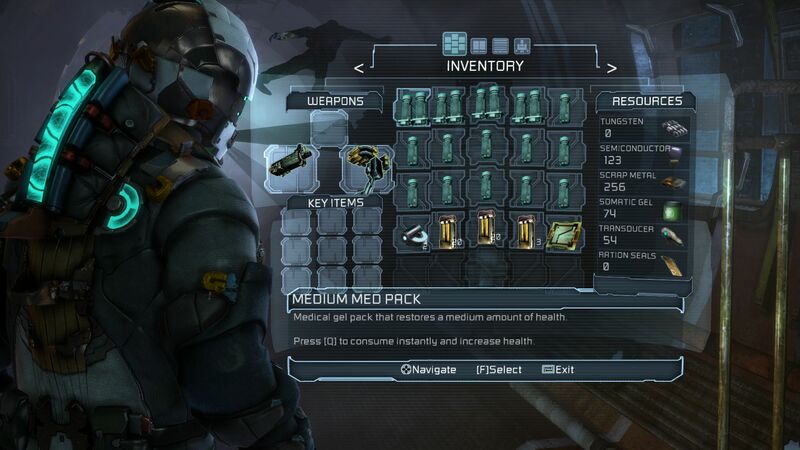 The weapons are divided into several segments. Chip tuning of a different kind. You can send a mini-robot that automatically collects resources. 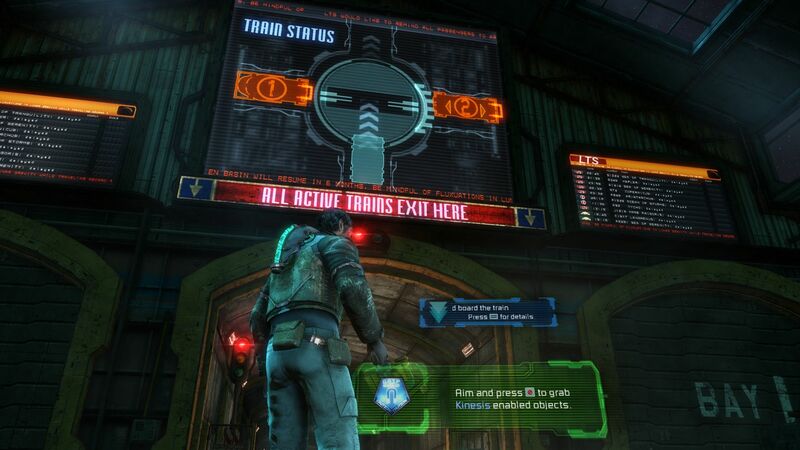 The missions include numerous mini-games. The suit can also be upgraded. 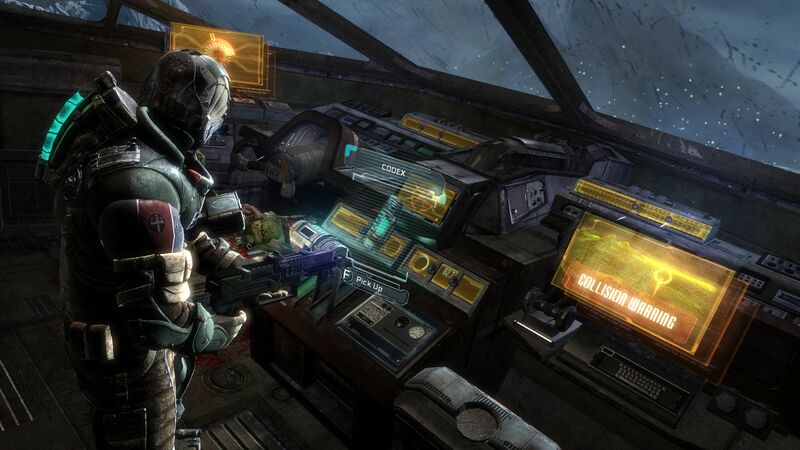 Despite the good graphics, Dead Space 3 does not have high hardware requirements. A video card of the upper middle class such as the GeForce GT 650M is sufficient for a resolution of 1920x1080 pixels and the preset "Very High". Those who will be happy with 1366x768 pixels and the "High" setting could easily do with a weaker middle class GPU. 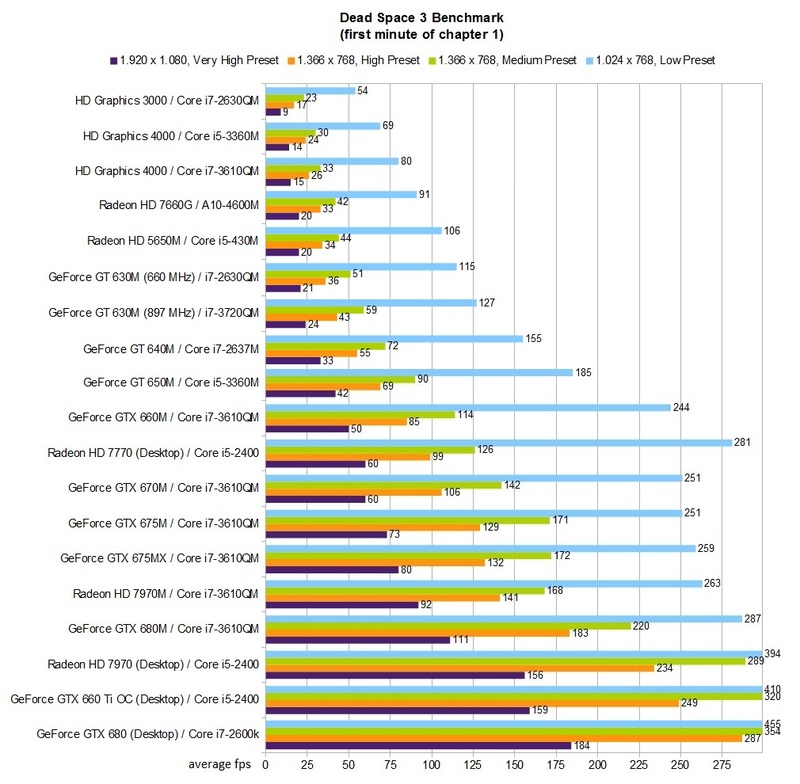 The popular GeForce GT 630M managed just over 35 FPS in the benchmark. Entry-level models such as the Intel HD Graphics 4000 are only good for low to medium details. 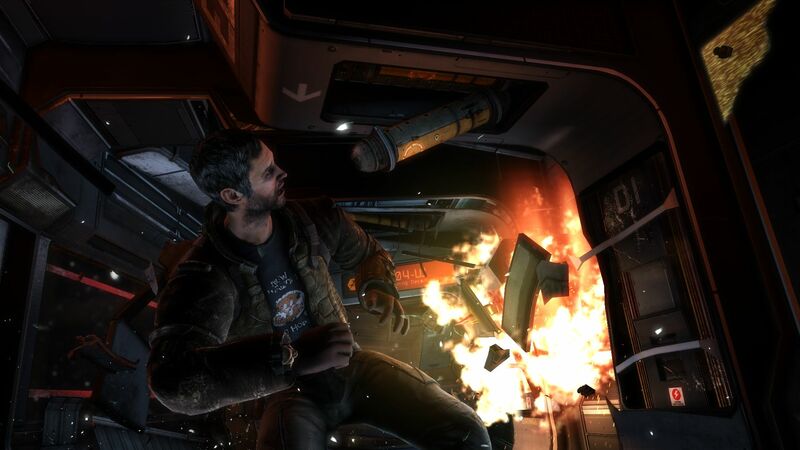 In our opinion, Dead Space 3 has fallen between two stools. 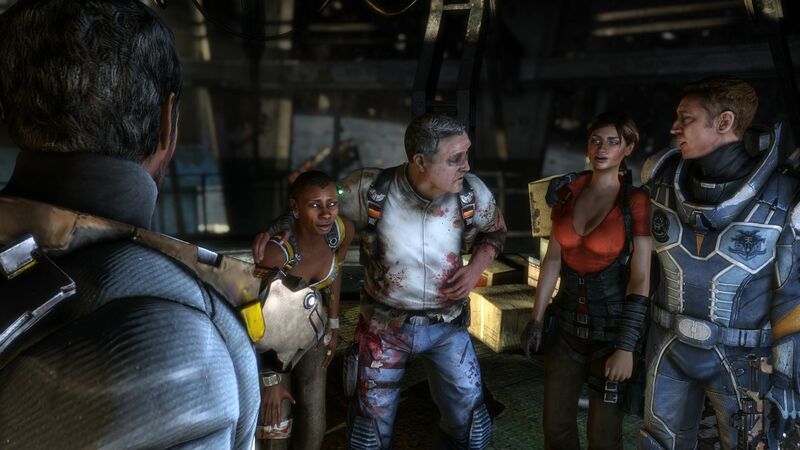 It is too action-packed for a horror game and at the same time it is too clumsy for the shooter genre. That does not mean the complete package is not fascinating. 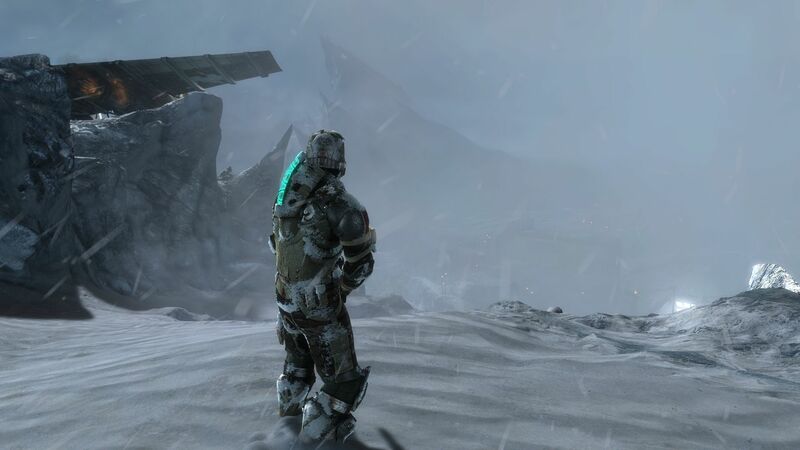 From a technical point of view, Visceral Games has done a good job. Notebook users will appreciate the moderate hardware requirements. Without a helmet, the main character would be in dire straits. 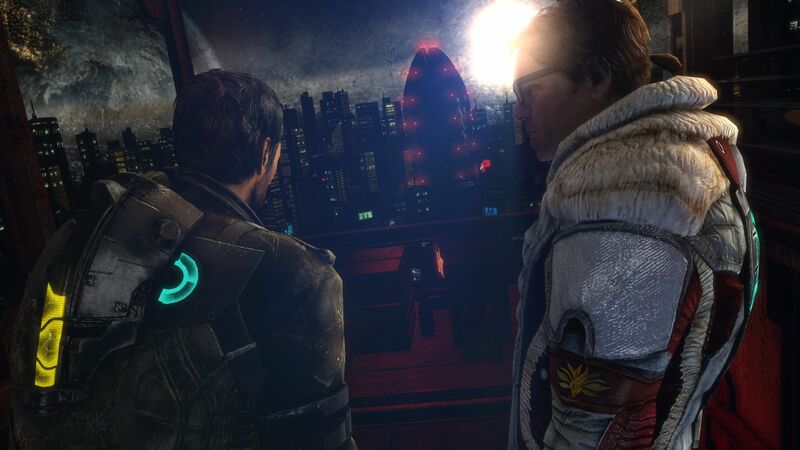 The space levels feature an amazing view. 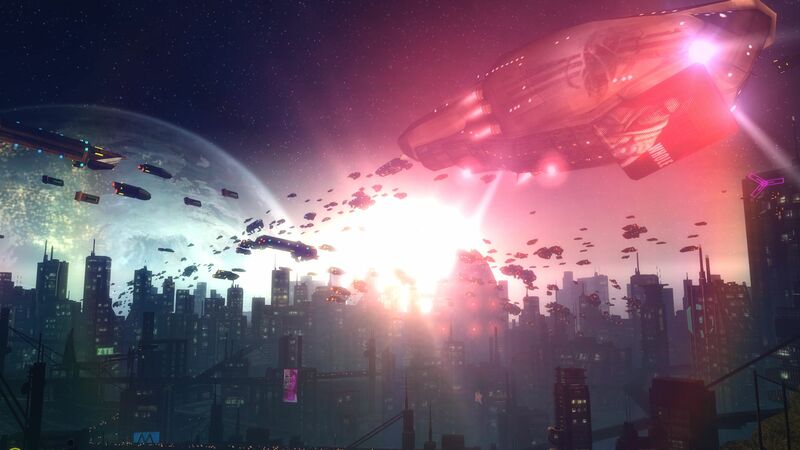 We can move around quite freely in space. The controls could have been a bit better. 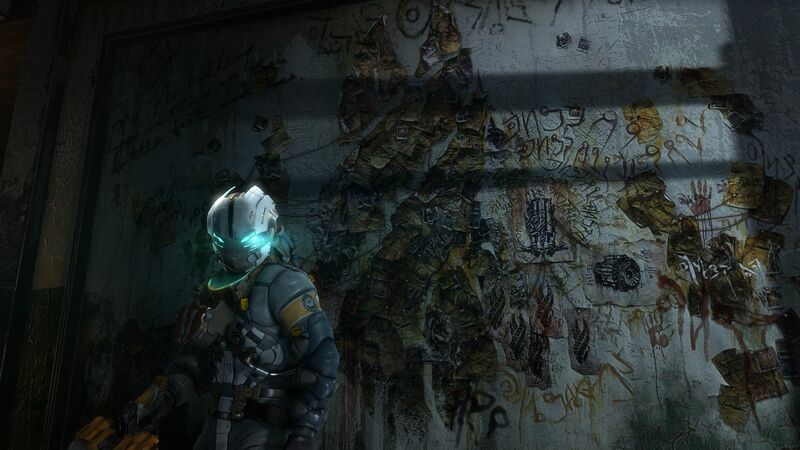 Mysterious drawings on the wall. Video messages are displayed via hologram. GPU drivers: Nvidia 313.96 Beta, AMD 13.2 Beta 5 & Intel 9.17.10.2932.